Blinqz utilizes micro-location technology to enable retailers to target offers to customers that are actively shopping in their stores. Blinqz drives retail traffic, conversion, and other KPIs by sending promotions to users' smartphones. We drive traffic with headline deals to attract shoppers before they shop. We drive conversion by sending promotions to shoppers when they are within reach of merchandise. Retailers can manage and change promotions in their stores in real-time. Shoppers get a game like experience and can share the deals they've found with their social networks. Jason has over ten years of experience in both startups and larger enterprises. After gaining experience as a product manager at MapInfo Corp. he's served in various sales and marketing positions. Some of his key accomplishments include leading an $8 million acquisition while at M2M Data Corporation and closing a $5 million sale to a Fortune 500 company while at Golder Associates. We knew that having someone with impeccable design skills would add significant value to the team. With Blinqz’s focus on consumers, it is critical that the design elements and and intuitive UI are considered early on. Additionally, Monty’s extensive work with CPG and retail clients adds valuable experience to the management team. His experience extends beyond the creative side of marketing to include posiioning and messaging. on brings significant experience with todays leading technologies including iOS, Amazon EC2, AJAX, JSON, and jQuery. Most recently, Jon led the development of a ground up redevelopment of Healthgrades’ systems. Jon has been on the cutting edge of technology for the past ten years, including early development with Microsoft C#, BizTalk, and SharePoint. 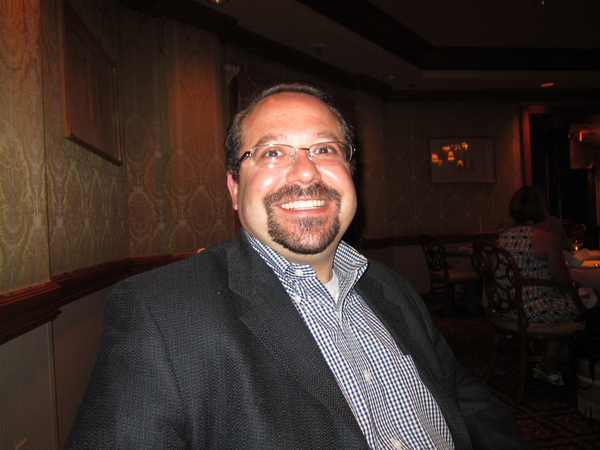 In addition to Healthgrades, Jon has been with Avanade, Statera, Cigna, and Go Daddy.